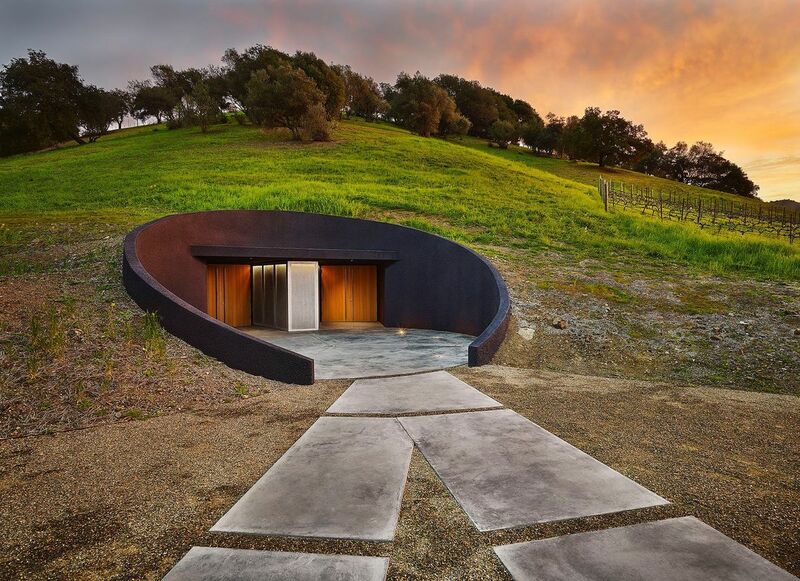 The 45-acre estate, originally purchased by the Steltzner family in 1964 – was tucked into the dramatic palisades of the Stags Leap District, just east of Silverado Trail. After purchasing the property, Richard and Christine Steltzner converted the open land to vineyards in 1970 and sold the grapes on property through their own vineyard management company. 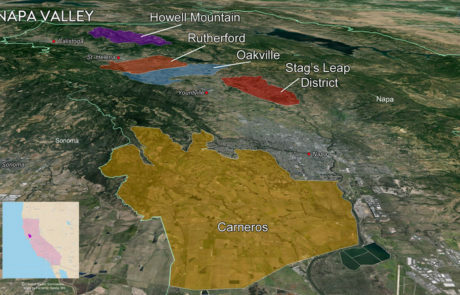 The Steltzner vineyard was the second in the district planted to Cabernet Sauvignon grapes, following one planted in the 1960s by Nathan Fay, now owned by Stag’s Leap Wine Cellars. 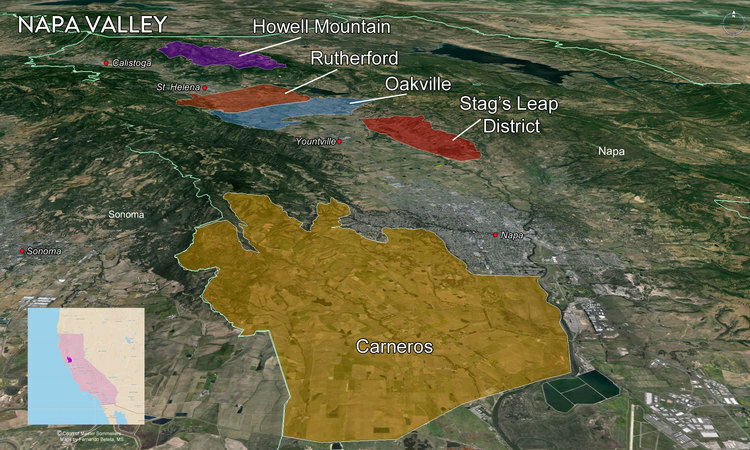 It wasn’t until 1977 that the Steltzner’s realized the potential of their Stags Leap District property and decided to make their own wine. 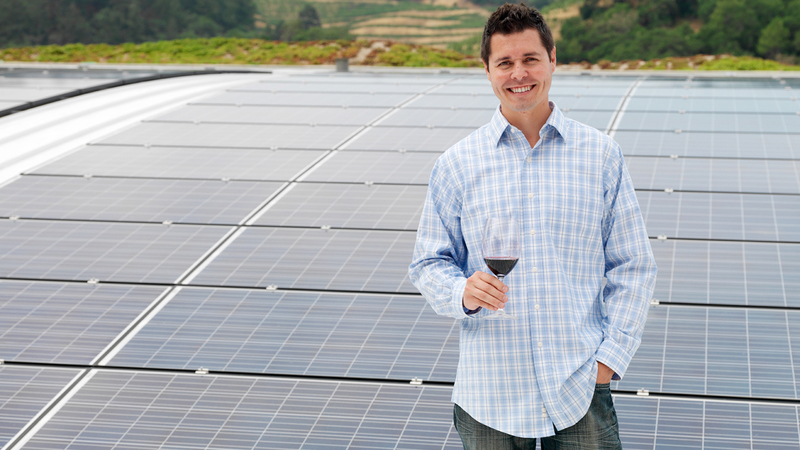 In 2012, After three decades of improvements and increased production, the Steltzner’s sold the winery and surrounding vineyards to Gavin Newsom, Gordon Getty and John Conover, making the trio just the second owners to farm the vineyard. 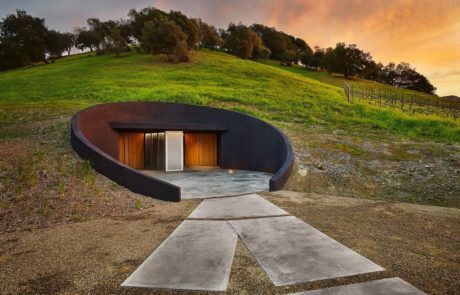 In the fall of that year, the caves would be updated and retrofitted and the vineyards re-planted and converted to 100 percent organic farming. 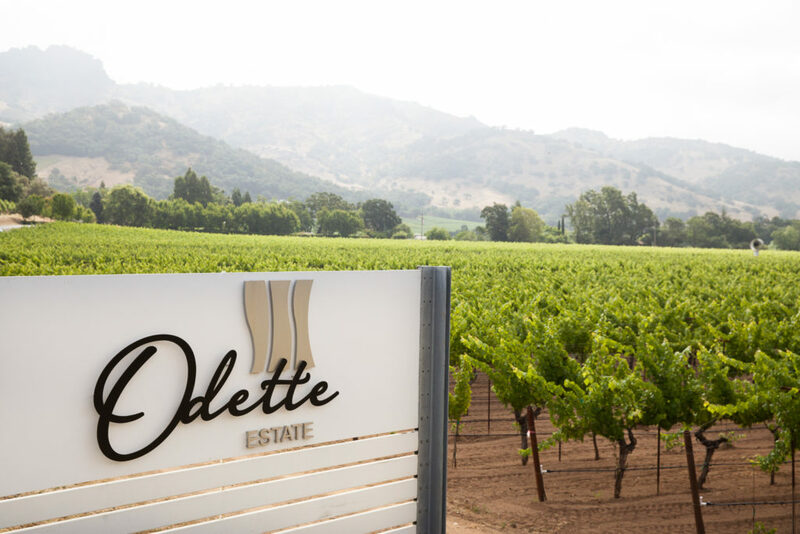 Like CADE Estate, the new winery at Odette Estate would be built to achieve LEED Gold certification. 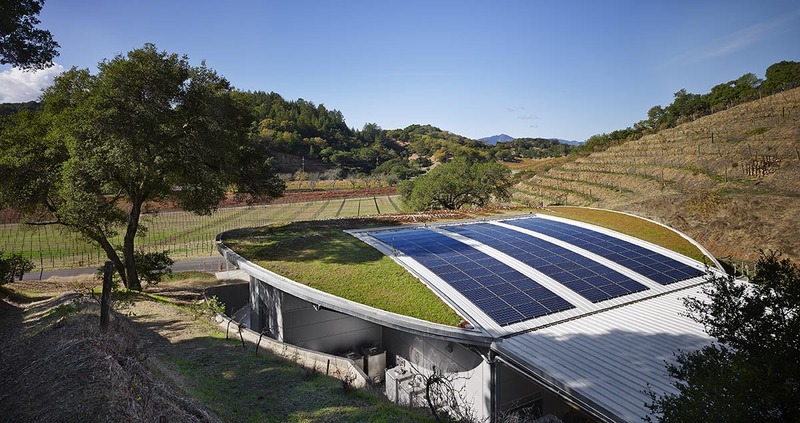 Both achievements would be recognized in 2017, with Odette Estate Winery earning Gold LEED certification for the winery and California Certified Organic Farmers (CCOF) for the vineyards. 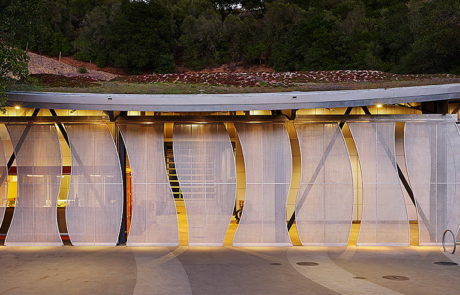 The small, state-of-the-art winery building, would become one of just a handful of wineries to feature a living green roof, planted to grasses and plants. 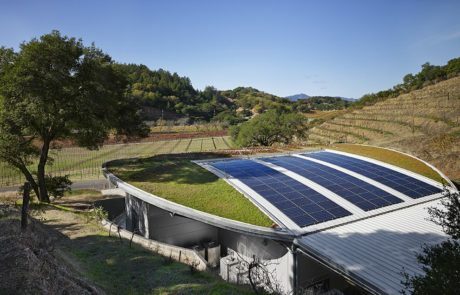 In addition to the vegetation, the roof also contains 2,500 square feet of solar panels. Odette Estate, like PlumpJack and CADE Estate Wineries, was given its name from Shakespeare and other historical works. Odette was a pivotal character, penned by Shakespeare and Proust, and also in Tchaikovsky’s ballet Swan Lake. In the wine world, Odette was the name of one of the French judges at the Paris Wine Tasting of 1976 when a red wine from Stags Leap District beat out the French competition to take top honors. 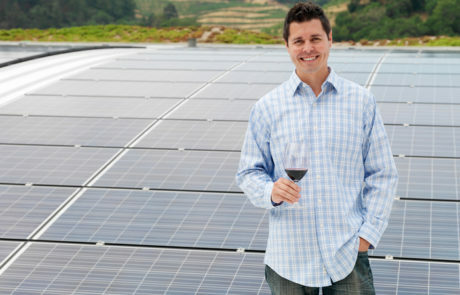 Today, winemaker Jeff Owens and his winemaking team continue to produce awarding-winning Cabernet Sauvignons from the Stags Leap District estate vineyard that encapsulate the inspiration for the property – combining power and elegance, while simultaneously showcasing the unique properties of the AVA.